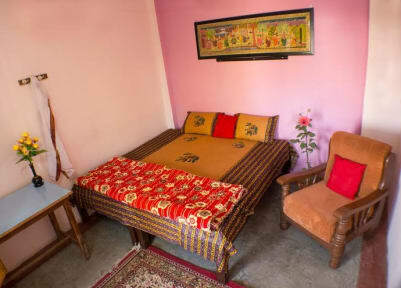 Kedar Guest House i Varanasi, Indien: Reservér nu! We have 16 lovely rooms with 5 Air conditioning and 11 wih fans. All include 24 hour Free Wi-Fi. All rooms have good quality mattresses and mosquito nets to ensure you sleep well. For those without laptops we have a computer for use on the ground floor. 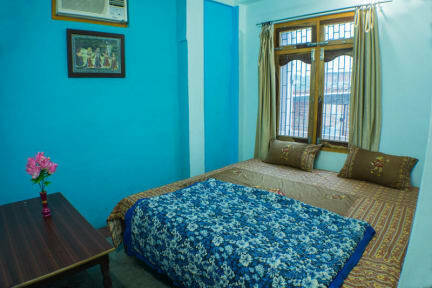 We have a lovely spacious roof top which is ideal for Yoga, meditation or music practice.We can also provide a fantastic range of tours and sight seeing options, helping you to truly discover the amazing city of Varanasi!